I don’t eat at Brave New Restaurant very often. I’ve never thought the menu was very creative, the office building setting didn’t do it for me, and the restaurant’s odd location always seemed frustrating. But here’s the thing, as I learned once again from this past weekend’s dinner, the food is consistently good. And maybe that’s good enough to inspire more frequent visits. 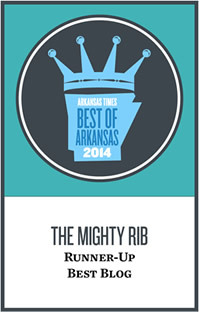 In Little Rock, we love consistency from our restaurants. It’s why places like Trio’s, The Faded Rose, and Burge’s, just to name a few, are so successful. These spots, much like Brave New Restaurant, aren’t reinventing the wheel, but what they do, they do quite well. 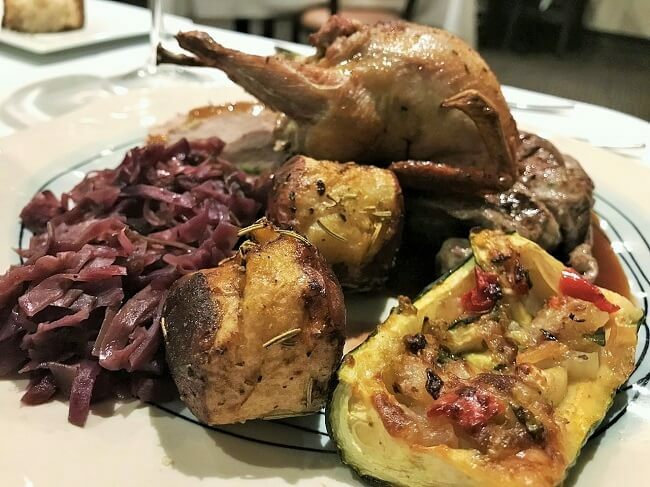 Diners know exactly what to expect each and every time they walk through the door. Maybe I need to walk through Brave New’s door more often. I think Friday night’s dinner proved it. 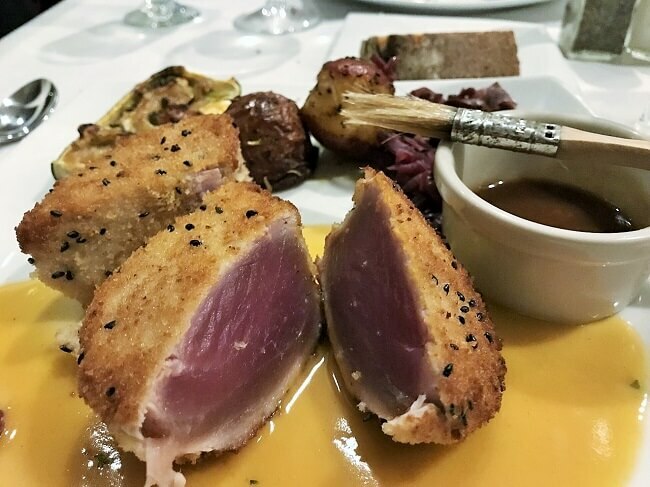 My encrusted Hawaiian tuna was cooked rare (as requested) and served with a sweet glaze, roasted potato, cabbage, and a hollowed out zucchini canoe. The tuna tasted like it had jumped from the Pacific onto my plate, and I could eat Brave’s roasted potato every night and be a happy man. Talk about comfort food. 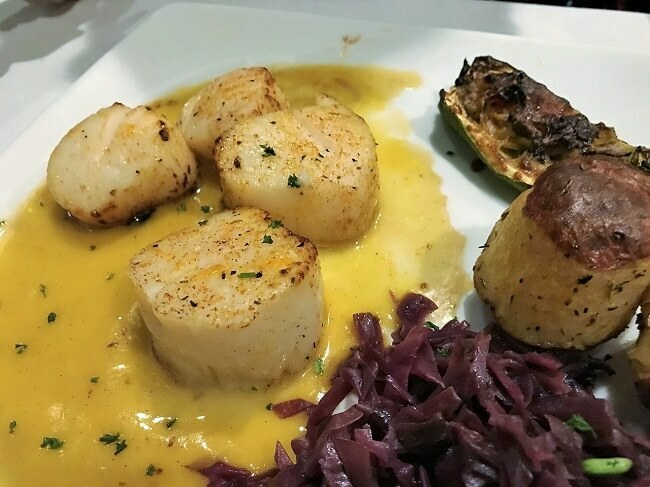 A bite of my wife’s Mixed Grill (grilled pork tenderloin, beef medallion, stuffed quail, and wild game sausage), one of the more iconic dishes in Little Rock, was met with favorable results, as was the taste of my tablemate’s scallops. The scallops, much like the tuna, were super fresh. However, they needed a better sear and the sweet vanilla beurre blanc wasn’t my preference to pair with their natural sweetness. Wine flowed and service was outstanding throughout the evening. All and all, it was an excellent dinner. I’ll be back at Brave New sooner rather than later.